Although Illinois allows you to change you business structures, changing can be difficult and expensive, so it’s best to know what you're getting into, so you can pick the right structure from the start. Sole proprietorships and S corporations each offer tax advantages that may benefit you depending on your situation and goals, but taxes should be only one of many considerations when you decide on a structure. 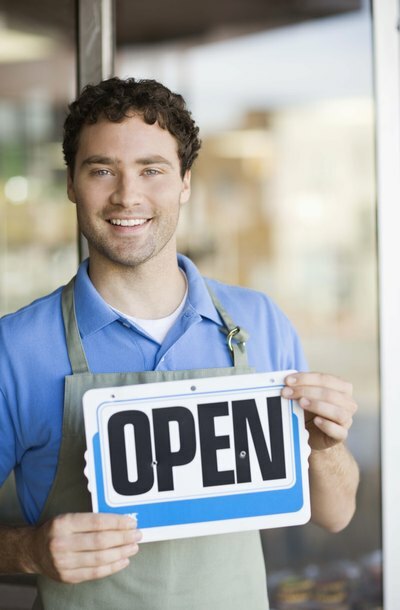 Sole proprietorships are generally the simplest and least expensive type of business to form. Sole proprietorships are legally indistinguishable from their owners, meaning the owners are responsible for the debts and liabilities of the business. If you operate your sole proprietorship in your own name, you do not have to register your business with the state of Illinois, though you may have to obtain sales tax licenses, permits or professional licenses depending on the category of business you operate. If you operate your business under another name, you must register your business name with your local county clerk’s office. S corporations are a specialized type of corporation, so they must file articles of incorporation with the state and pay filing fees like corporations. Once your corporation is formed with the state, you must file an S corporation election with the Internal Revenue Service by filing Form 2553. As long as your corporation qualifies for this election, your corporate profits will "pass through" to shareholders, who will pay taxes through their personal income tax returns. They are not taxed at the corporate level. Sole proprietorship earnings are subject to self-employment taxes when you file your personal income taxes -- that is, you pay both the employer's and the employee's portion of Social Security and Medicare on your earnings. You may have to make quarterly estimated tax payments with the IRS to avoid penalties at the end of the tax year. Sole proprietors typically file Schedule C and Schedule SE along with their individual income tax forms. S corporations offer several tax benefits when compared with sole proprietorships. For example, only salaries -- not profits -- are subject to payroll taxes. However, as the owner and operator of an S corporation, you must take a “reasonable” salary for taxation purposes. You cannot try to avoid payroll taxes by taking compensation in the form of profits instead of a salary. Frequently, a business that is a start-up or a side business making little profit benefits from a sole proprietorship structure, while more profitable businesses benefit by becoming S corporations. Illinois also taxes corporations and sole proprietorships differently at the state level. As is the case with federal taxation, sole proprietors pay state income tax with their own personal tax returns. Sole proprietors do not have to pay Illinois Personal Property Replacement Tax or franchise taxes. S corporations do not have to pay corporate taxes, but profits "pass through" directly to shareholders, who pay taxes via their personal income tax returns. S corporations also pay Personal Property Replacement Tax and franchise taxes, though the personal property tax rate is lower for S corporations than C corporations. An owner's decision regarding how much salary to take from a business is generally a private management decision for closely held corporations — corporations where half of the shares are held by five or fewer shareholders — that are not publicly traded. However, the decision is affected by potential tax consequences. An incorporated business is automatically designated by the Internal Revenue Service as a C corporation for income tax purposes. However, certain smaller corporations can elect to be taxed as S corporations without forfeiting the liability protections that the corporate structure affords to shareholders. Making the initial election requires filing an IRS form. Once S corporation status is granted, the tax forms the corporation must file annually will change. What Is a Disadvantage of the Corporate Form of Business Entity? Can You Fill Out a 2553 Before the Articles of Incorporation?